Created by the Volume 89 Board of Editors, the Distinguished Alumni Awards are granted each year by the current Board of Editors at the annual spring banquet. We look to Law Review alumni to nominate other alumni who have made extraordinary contributions to the profession and the greater good of society. Please tell us about colleagues who should be considered for an award this year by nominating them by mail or online. 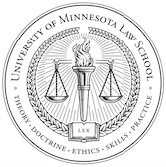 The Minnesota Law Review Board and Staff is accepting nominations for this year’s awards until Friday, February 22, 2019. Nominations can be sent to William Paterson (pater042@umn.edu) and Joshua Preston (prest202@umn.edu). The Honorable William C. Canby, Jr.